Our supermarket doesn't carry the Freschetta FlatBread variety, but we had our own pizza-tasting party to try the other three. Our favorite was the Freschetta Naturally Rising crust. The crust is crisp on the bottom, puffy around the edges. The pizza has a good amount of cheese and other toppings. The pizza is approximately 11" in diameter, and the inner wrapping is an easy-to-open plastic wrap. 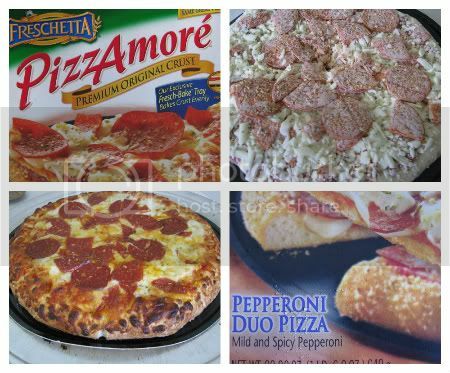 It's very good for frozen pizza, and right up there with some of the national pizza-delivery chains. After that we baked a Freschetta Brick Oven pizza. Out of the box, the pizza is square, about 11" across, and shrink-wrapped. The cheese is more finely shredded than on the Naturally Rising pizza, and the crust is much thinner, especially around the edges. We thought we tasted a sharper cheese flavor, like Parmesan or Romano; I like that but my husband doesn't care for it. The pepperoni is on the mild side, but it released a significant amount of oil as it baked. Finally, we tried the Freschetta PizzAmore pizza. The wrapping is similar to that of the Naturally Rising crust, except that this pizza comes with its own single-use baking tray. Because the tray is flexible cardboard, I decided to place it on a metal baking sheet rather than directly on the oven rack. The slices of this pizza are pre-cut; however, we found that, after baking, they were stuck together anyway. The pizza seemed to have more sauce than the other varieties. We thought this pizza was fine--better than Brick Oven but not as good as Naturally Rising. 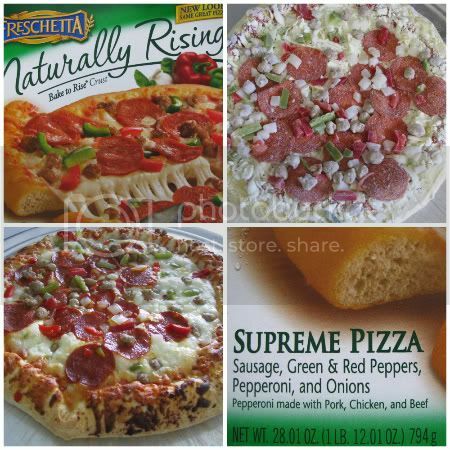 These are convenient to keep on hand for quick meals and, as I mentioned, we thought that the Naturally Rising crust pizza is as good as what we've gotten from some of the national pizza chains. 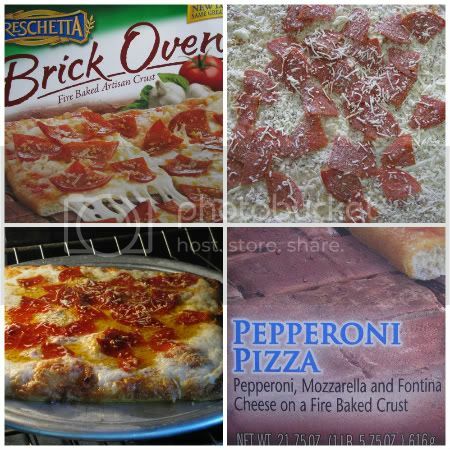 If you'd like to try any of these Freschetta Pizza varieties, be sure to get the coupon here. Sounds like my homemade is the way to go. We loved Fireproof. Both JDaniel3 and I were crying at the end. Thanks Melissa for the review.